Do we do what is right in our own eyes or in the Eyes of our Heavenly Father (Dt 12:8; Mt 7:23)? 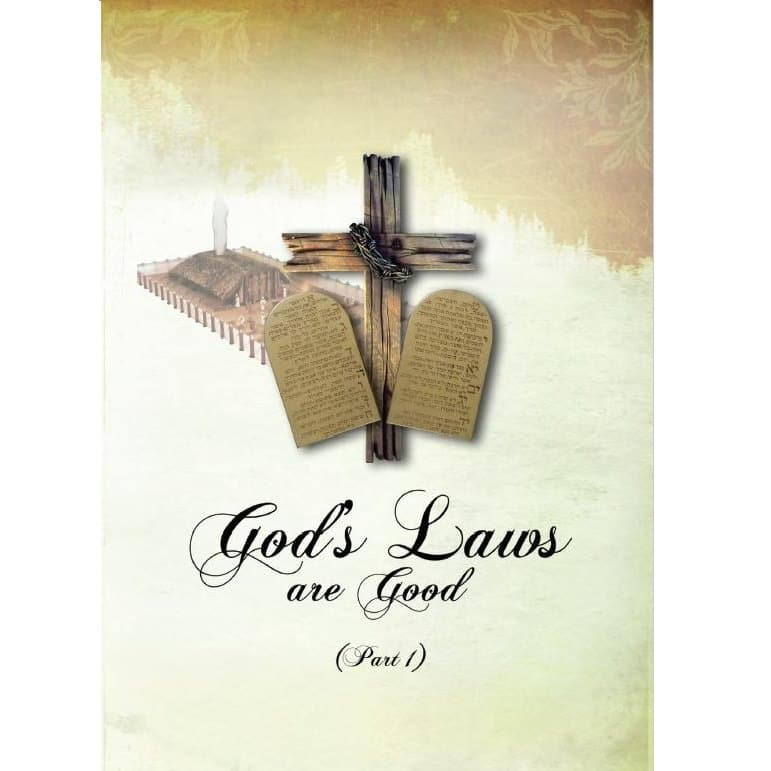 The laws of God comprise of 2 main parts: Law of Commandments and Law of Ordinances (Ex 24:12; Lk 1:6). The Law of Ordinances were placed into the side of the Ark of the Covenant (Dt 31:26); the Commandments were placed into the ark (Ex 40:20). Yeshua replaced the ordinances in Himself and He enabled us to keep the commandments through Holy Spirit. LAW OF ORDINANCES (the veil) was added because of transgressions (Gl 3:19). The purpose was to bring people into Covenant with God through Circumcision (Ac 21:20-22). Once they entered the Covenant, only then were they able to cover their sins; either through Sacrifices (Hb 9:9-10; 19-22), killing or punishing the person who sinned, or by intercession of a righteous man (Nm 11:14-20; Ez 14:14; Cl 2:14; Ep 2:14-16). It also enabled them to receive from God through the temple, priests or feasts (2Chr 6; Hb 9:1). In summary the law of ordinances was the tutor to bring us to the Messiah (Gl 3:24-25) and this came at the time of Moses (Gl 3:17; Mt 19:8; Tt 3:9; Ac 13:38-39; Hb 8:4-5). It was a temporary Covenant, a shadow (Hb 10:1-7), until God revealed the New Covenant to enable people to get rid of their sin and receive favour from Him for eternity (Hb 10:8-18; Ac 3:19). Ultimately the New Covenant is reconciling mankind to God for eternity – only possible by believing His only begotten Son, Yeshua the Messiah (Dt 18:15-19; Is 42:1-4). Therefore, circumcision which got them into the Old Covenant, is now nothing and uncircumcision is nothing, but keeping the commandments of God is what matters (1Co 7:19). LAW OF COMMANDMENTS shows what is good and acceptable to God, it is the knowledge of sin/transgressions (Rm 3:20; 2Tm 3:12-16; Jm 1:27; 1Tm 1:7-11; 1Jh 3:4-8). These have been around since the tree of good and evil (Rm 5:13-14). It was inherent that people knew them, even a non-believer Abimelech, through a dream, recognized that Sarah was Abraham’s wife, and abstained from touching her (Gn 20:6-9); Noah knew what were clean and unclean animals (Gn 7:2-8); and both Abraham and Jacob tithed to God (Gn 14:20; 28:22) etc. This all happened before Moses repeated the law to a people who had lost the understanding, because they had been in sinful Egypt for so long. Under the Old Covenant, the Israelites were still unable to keep the law of commandments, now under the New Covenant through the Messiah, it is Holy Spirit who enables us to walk in His statutes and keep His judgments, IF we walk in the Spirit (Ez 11:19-21; Rm 8:4-7). THAT’S WHY YESHUA SAID: “Think not that I am come to destroy the law, or the prophets: I am not come to destroy, but to fulfil. For verily I say unto you, till heaven and earth pass, one jot or one tittle shall in no wise pass from the law, till all be fulfilled. Whosoever therefore shall break one of these least commandments, and shall teach men so, he shall be called the least in the kingdom of heaven: but whosoever shall do and teach them, the same shall be called great in the kingdom of heaven” (Mt 5:17-19)… “Not everyone who says to Me, ‘Lord, Lord,’ shall enter the kingdom of heaven, but he who does the will of My Father in heaven. Many will say to Me in that day, ‘Lord, Lord, have we not prophesied in Your name, cast out demons in Your name, and done many wonders in Your name?’ And then I will declare to them, ‘I never knew you; depart from Me, you who practice law-less-ness!’” (Mt 7:21-23). CONSEQUENCES – There are many examples where God judges the wicked (2Chr 21:18-19; Ac 12:23) like Paul cursing a man to go blind (Ac 13:10-12). Even Christians are judged, like Paul handing a man over to Satan because of sexual immorality (1Co 5:1-5), or Yeshua going to cast Jezebel “a prophetess” into a sickbed, and those who commit adultery with her into great tribulation and kill her children (Rv 2:22-23), or God killing Ananias and Sapphira for lying to Holy Spirit (Ac 5:1-11) etc. “There is therefore now no condemnation to them which are in Christ Jesus, who walk not after the flesh, but after the Spirit” (Rm 8:1). “Now the works of the flesh are evident, which are: adultery, fornication, uncleanness, lewdness, idolatry, sorcery, hatred, contentions, jealousies, outbursts of wrath, selfish ambitions, dissensions, heresies, envy, murders, drunkenness, revelries, and the like; of which I tell you beforehand, just as I also told you in time past, that those who practice such things will not inherit the kingdom of God” (Gl 5:18-21). Therefore “neither fornicators, nor idolaters, nor adulterers, nor homosexuals, nor sodomites, nor thieves, nor covetous, nor drunkards, nor revilers, nor extortioners will inherit the kingdom of God” (1Co 6:9-10). “The carnal mind is enmity against God; for it is not subject to the law of God, nor indeed can be” (Rm 8:7). CONCLUSION As we minister the Good News of Christ, we are to abide in Yeshua and walk even as He walked, so be holy (1Jh 2:16; Mt 5:48; 1Pt 1:15-16). In so doing we establish the law, we don’t ignore it (Rm 3:31). We fear God (Rm 3:18; 2Co 7:1; Ep 5:21; 1Pt 2:17). “This is the patience of the saints; here are those who keep the commandments of God and the faith of Yeshua” (Rv 14:12). “For this is the love of God, that we keep His commandments. And His commandments are not burdensome” (1Jh 5:3). “Now by this we know that we know Him, if we keep His commandments” (1Jh 2:3).